"We do not dislike magic. We are unworthy of the Weave's touch. It is our Patron's sin and our burden." The Children of Netheril are a cult of karsite binders that speak exclusively in the ancient tongue of Loross, the noble language of Netheril. 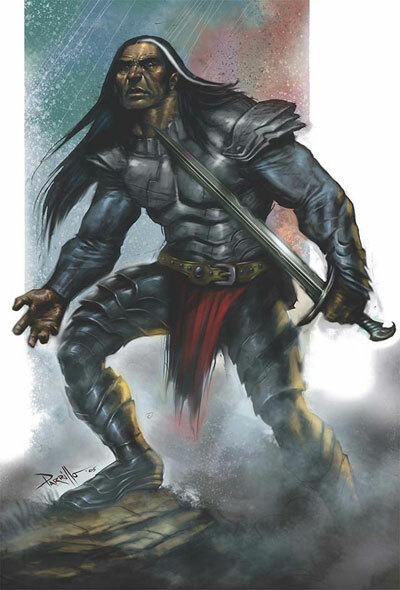 Their leader has ties with Maercus of the Masks and the Thayan Merchants' Collective. He is known as Jonczer the Demon throughout the east. Each member is given a magical silver or porcelain mask of varying power (dependent on their experience). The Children of Netheril hold their base of operations inside the Dire Wood, among the remnants of Karse Enclave (and Karsus himself). They've discovered that the wildmagic and mana-vortexes that exist therein don't hamper their binding magic, yet help to discourage any spellcasting enemies. Wulgreth, the infamous lich of the Dire Wood, has been neutralized (at least for the time being) by Maercus Brand, giving the Karsites free reign of the area. Their intent is unknown as of yet. They have made few bids for power and their alliances range from the Red Wizards of Thay to the Harpers to the Zhentarim. It is known, however, that Elminster and the other chosen of Mystra are anxious of, if not opposed to, a cult devoted to the archmage that killed (unintentionally) the first goddess of magic and caused irreparable damage to the Weave. However, it has been learned that the cult is in stark opposition to the Church of Shar, so these karsites might just prove a worthy ally. Davo and Lux are members of the Children of Netheril.